I woke up with a nasty stomach bug Wednesday morning that hot worse, not better on Thanksgiving. 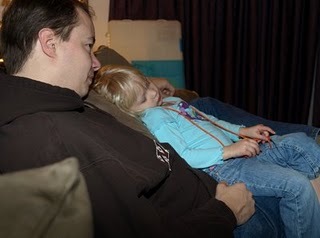 So I stayed home on Thanksgiving while Scott and Juliana went to Nana and Papa’s house for Thanksgiving dinner. I eventually managed an apple before going to bed Thursday night. I wonder if Scott’s recent food poisoning was really the same bug. Hope you’re feeling better.